Eastern Libyan military forces have full control of Libya’s biggest oilfield, El Sharara, a spokesman said, in a challenge to the internationally recognised government in Tripoli. 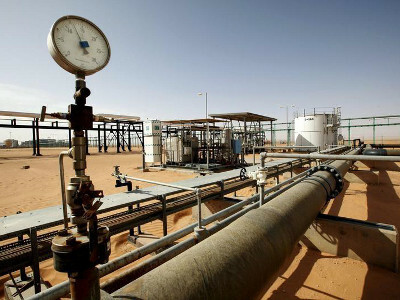 There was no immediate confirmation or comment from state oil firm NOC which, with foreign partners, operates the 315,000 barrels-per-day (bpd) field in Libya’s southern desert. LNA (the Libyan National Army) in eastern Libya began an offensive in the south last month to fight militants and secure oilfields. “Peacefully with no resistance LNA has full control over Sharara oilfield and all its facilities,” the LNA spokesman said on Twitter, adding the facility was being secured. Hours earlier, the LNA chief of staff, Abdel-Razeq Nathouri, told Reuters soldiers were negotiating access to the field. The internationally recognised government in Tripoli tried sending its own commander, Ali Kennah, to secure the field. El Sharara formerly belonged to the Tripoli administration which was unable to exercise control. Kennah flew on the weekend to the nearby El Feel oilfield and later made to El Sharara, but failed to take control of it, oil workers said. National production stands at under a million bpd, well below pre-2011 capacity of 1.6 million bpd.